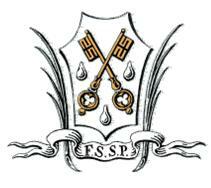 will be Fr Robert Fromageot, FSSP. A pitch in dinner will follow Mass. The five hour ceremony will be held in the presence of a very special guest from the Vatican, William Cardinal Levada, Prefect of the Congregation for the Doctrine of the Faith. The Priestly Fraternity of Saint Peter is delighted to have the presence of one of the highest ranking officials in the Catholic Church. Cardinal Levada’s presence is connected with his position as President of the Pontifical Commission Ecclesia Dei established by Pope John Paul II and recently expanded by Pope Benedict XVI to facilitate the full incorporation into the life of the Church of communities and individuals attached to the Extraordinary Form. Thanks to Thomas Gordon Smith, its architect, the seminary chapel reflects a contemporary rebirth in the rich tradition of classical Catholic architecture. Upon entering through its mahogany doors, the visitor will be immersed in the chapel’s beauty and grandeur which include an elevated main altar, emphasized by a 31-foot marble canopy or “baldachino”, the chapel’s seven side altars and liturgical choir stalls which seat 92 seminarians and priests. These are some of the integral qualities of this chapel which, on March 3rd, will be full of the people for which it was made. 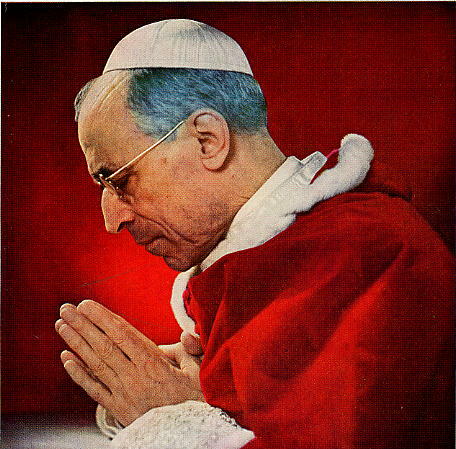 Vatican City, Jan 18, 2010 / 02:40 pm (CNA).- The Prefect Emeritus of the Congregation for the Causes of Saints, Cardinal Jose Saraiva Martins, confirmed over the telephone to CNA today that a “presumed miracle” attributed to Pope Pius XII is under investigation. The case involves a patient cured of cancer in southern Italy. Cardinal Saraiva was quick to caution, however, that there is a big difference between a “presumed” miracle and a “confirmed” miracle. The case comes to the Congregation for Saints’ Causes from the town of Castellammare di Stabia near Naples, Italy. “Some months ago,” the local Sorrento & Dintorni online publication reported on Sunday, a person was discovered to be cured of a form of cancer previously declared incurable after praying for the intercession of Pope Pius XII. The doctors of the person, of whom no details are public, were unable to give a scientific explanation for the occurrence, according to the article. The existence of the possible miracle was confirmed to CNA by Cardinal Saraiva Martins on Monday afternoon. The prefect emeritus also said that it is impossible to estimate the amount of time it might take for the process of confirmation to be carried out. 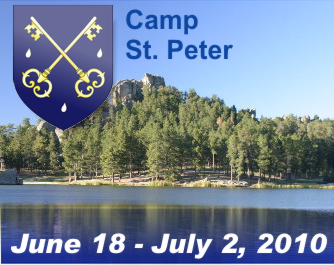 The Priestly Fraternity of St. Peter is hosting a two-week, outdoor summer camp for boys aged 12 to 15 years old, at Custer State Park, located an hour south of Rapid City, South Dakota. 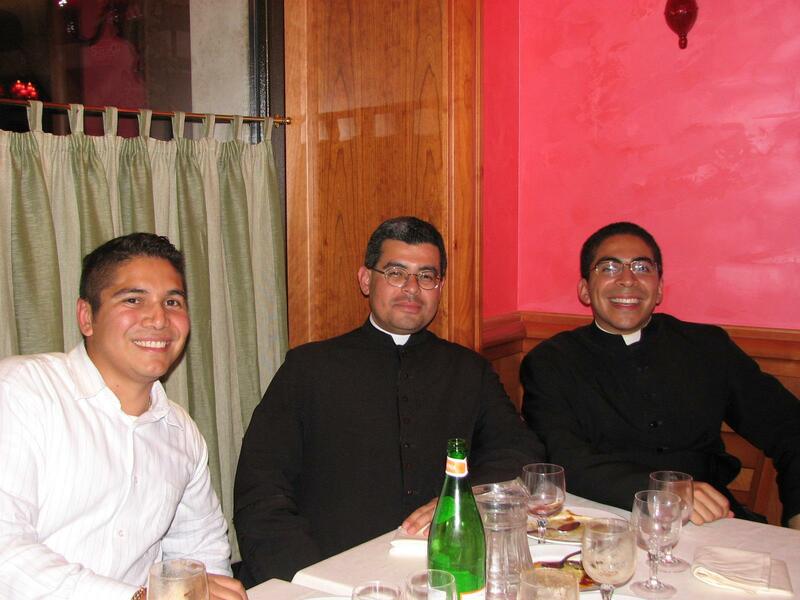 The camp will be staffed by one priest and six seminarians of the Fraternity of St. Peter. Custer State Park is located in the rugged Black Hill mountain range and offers plenty of opportunities for fishing, swimming, hiking, wildlife observation and land orientation skills. Sleeping arrangements will be in tents provided by the Fraternity. Bathroom facilities are available onsite, and shower facilities are located nearby. Additionally, a local high-school only a short distance away provides opportunities for various athletic games such as soccer, football, volleyball, and dodge-ball. While the camp setting provides an incredible array of exciting activities, the most important function of the camp is spiritual. This camp should not be thought of as an entertaining summer adventure only, but as an opportunity to grow closer to God. The camp is intended to strengthen the faith of those who attend by providing instruction in the faith, and the virtuous example of men in the process of dedicating their lives to God. Every day, the boys will be expected to willingly participate in the Holy Sacrifice of the Mass, a group rosary, 20 minutes of meditation, and night prayer. Confession will be available almost every day. 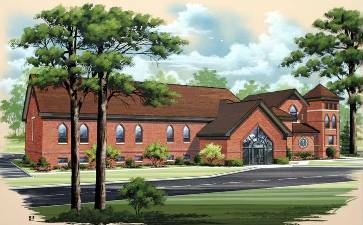 Campers can expect to receive classes on Catechism, Gregorian chant, and Mass serving. Camp St. Peter 2010 will take place June 18th – July 2nd for boys between 12 – 15 years old. Special consideration this year will be given to those who have not yet attended the camp. The cost for this years camp is $350, payable by check, which should be sent along with the application form. This check will only be deposited if your applicant is accepted. (Please send a separate check for each applicant.) A more detailed information packet will be mailed to you upon acceptance. God bless you, and please pray for discernment on the part of the selecting staff! Applications must be mailed and postmarked no later than May 1st. For more information and registration, please download our registration form. On January 30th 2010 a.D. the St. John Bosco Latin Mass Community is proud to host Fr. Robert Fromageot, FSSP who will conduct a Gregorian Chant Practicum at Sacred Heart of Jesus Catholic Church in Cicero, IN at 10 am. Fr. Fromageot is a professor of Dogmatic Theology at the Priestly Fraternity of Saint Peter’s North American Seminary, Our Lady of Guadalupe in Denton, NE as well as the Schola Director at St. Francis of Assisi Catholic Church in Lincoln, NE. 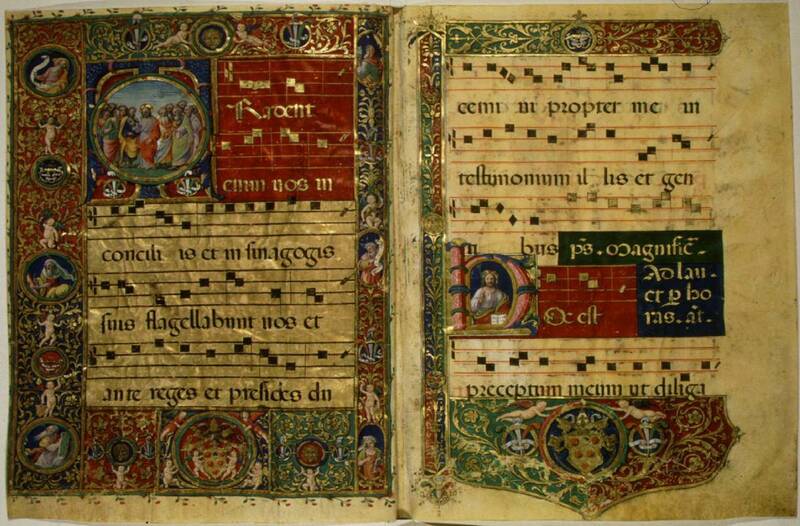 Father has conducted numerous Practica on Gregorian Chant, he was a recent guest of EWTN’s Life on the Rock where he spoke on Gregorian Chant and how it assists the liturgy fulfill its twofold end; namely, the worship of God and the sanctification of souls. 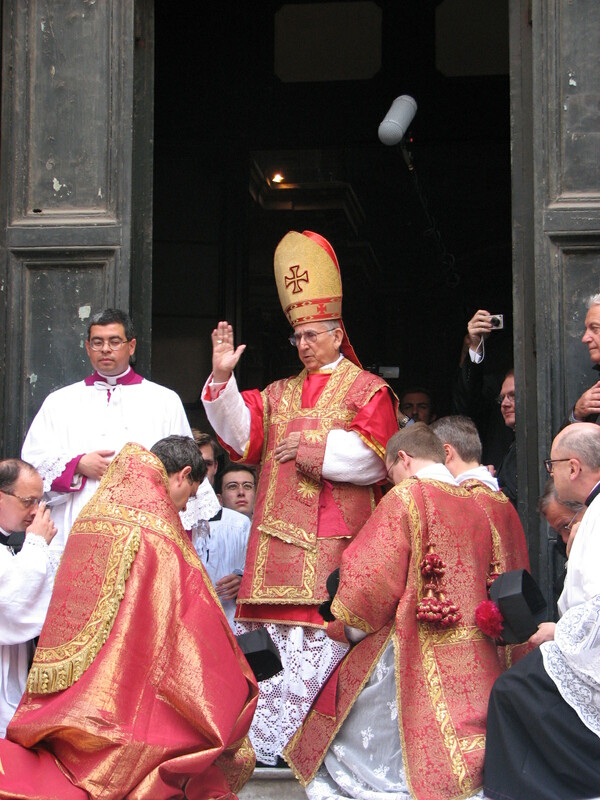 His Eminence, Dario Cardinal Castrillon Hoyos, President Emeritus of the Pontifical Commission Ecclesia Dei will offer a Solemn Pontifical Mass at the Chiesa dell’ Ascensione a Chiaje in Naples in the Traditional Roman Rite on January 16th, 2010, at 11:00 A.M.
As per RORATE CAELI – Messa in Latino has announced that the newest members of the Pontifical Commission Ecclesia Dei will be Fr. Vincenzo Nuara OP and Fr. Almiro de Andrade FSSP. Fr. Almiro de Andrade is the first member of any of the “Ecclesia Dei Communities” to be officially appointed to the Commission. He also serves as MC at SS. Trinita dei Pellegrini, and is already considered as the de facto “secretary to the Secretary” of the Pontifical Commission Ecclesia Dei, Msgr. Guido Pozzo. Fr. Vincenzo Nuara, on the other hand, is the founder of the “Amicizia Sacerdotale Summorum Pontificum” and of “Giovane e Tradizione“. Fr. Nuara, who had been removed from his position as vicar for religious in the Diocese of Acireale for his role in assisting the organizers of the celebration of the Traditional Mass in that diocese (in Sicily, which currently has only two locations with a regular TLM) — a Mass that was saved only upon the intervention of the PCED — has been very much at the forefront of promoting Summorum Pontificum,being one of the leaders in organizing study days and conferences on the Traditional Roman Rite, in Rome most notably the October 2009 conference that concluded with Archbishop Burke’s Pontifical Mass in St. Peter’s Basilica.